Historical Museum of Krakow is a municipal institution focused on cultivating local traditions and sharing knowledge of Krakow’s history. 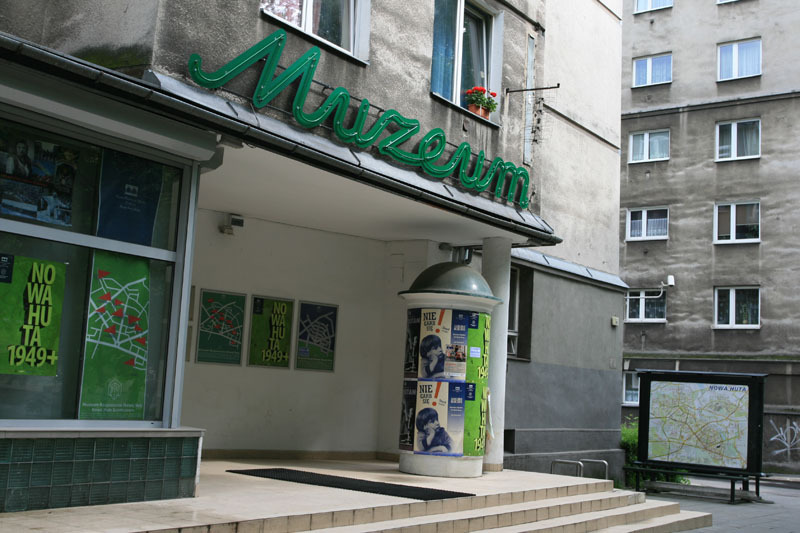 The Museum consists of several branches, scattered around the city. Its origins date back to 1899, as a division of the Old Records Office of Krakow. Employees of the Office gathered memorabilia and artefacts connected to the history of Krakow. Initiative to create an independent museum institution was endorsed in 1897 by the Society of Friends of Krakow Heritage. The collection of gathered objects grew and consisted mostly of iconography, graphics, portraits of famous citizens, items and documents related to guilds, stamps, and numismatics. 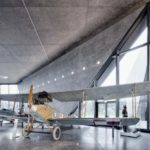 Initially, the Museum did not display its collection. The first exhibition in the Museum’s history took place in 1937. It was organised on the second floor of the Wawel Castle, which was recently renewed. The exhibitions comprised of the iconography of old Krakow. In December 1945, the Museum’s statute was declared. Soon, the Museum was granted several buildings across the city and was able to begin its work on many fields. Today, Historical Museum of Krakow does not have one headquarters. Its main office is located on the ground floor of the Cloth Hall. Its branches make up one comprehensive Historical Museum of Krakow. Krzysztofory Palace is a branch located on the Krakow Main Square. 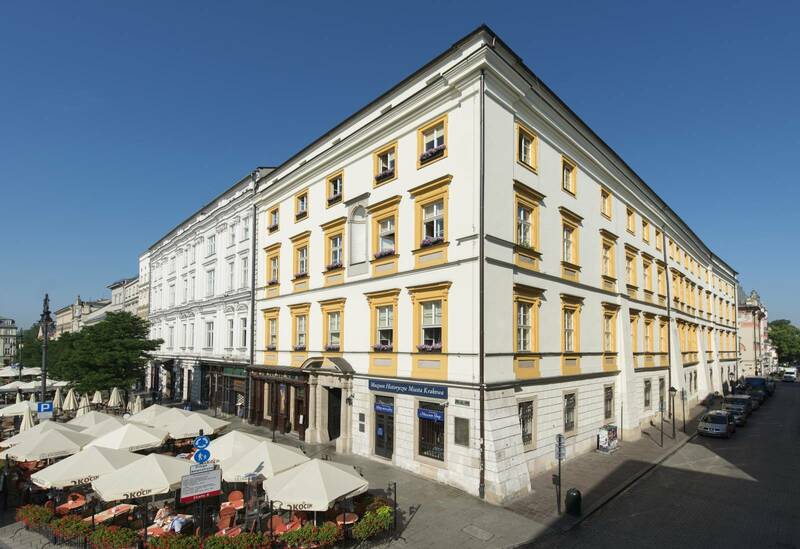 It owes its name to St. Christoph (Krzysztof in Polish), patron of the original medieval townhouse that once stood there. Today Baroque, Krzysztofory Palace is a building of vibrant history. 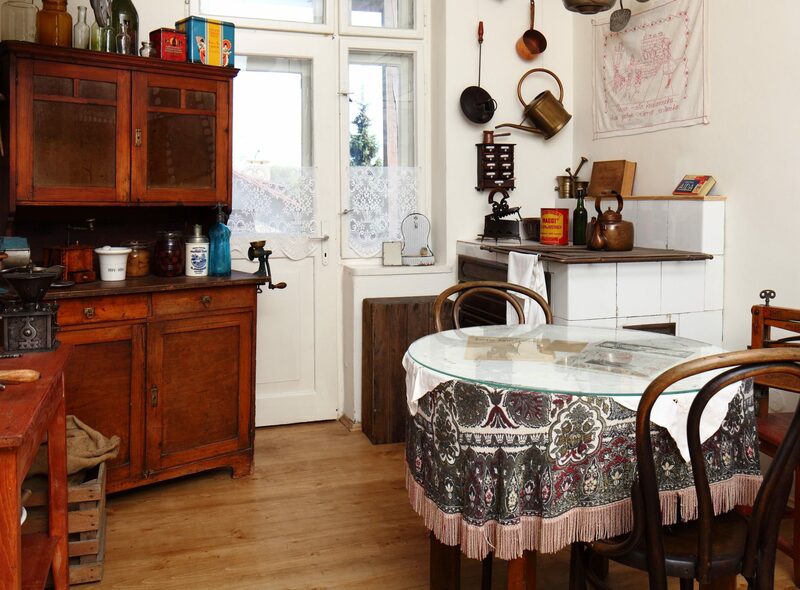 The branch in Krzysztofory Palace is dedicated to the material culture, political and economic history, art, traditions, and customs of the inhabitants of Krakow from the earliest times to the present day. 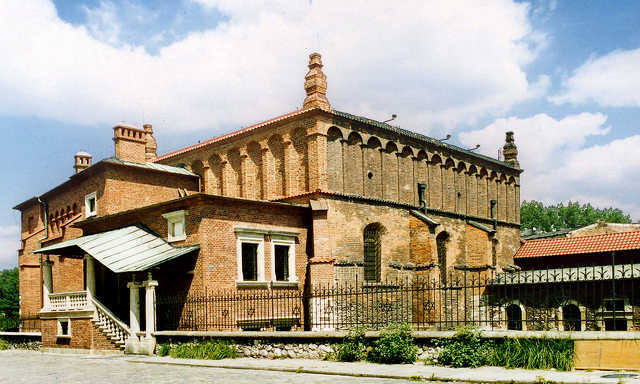 Old Synagogue is one of seven synagogues that remained preserved in Kazimierz Jewish Quarter after World War II. The synagogue was built at the turn of 14th and 15th century as the Jewish community moved from all over Krakow Old Town to Kazimierz. It was completely devastated after the War and left neglected for several years. In 1961, Historical Museum of Krakow gained jurisdiction over the Synagogue and turned it into one of its branches. It focuses on the history of Jews in Krakow. Oskar Schindler’s Factory is a branch dedicated to the creator of the famous “Schindler’s list”, the man who saved Jews from death camps during World War II. It is located in the actual Enamel Factory owned by Oskar Schindler. The branch is dedicated to the life of an extraordinary man but also houses a permanent exhibition focusing on Krakow under Nazi occupation 1939-1945. The Eagle Pharmacy is a branch located in the pharmacy once owned by Tadeusz Pankiewicz. He was the only Pole living in the Jewish Ghetto during World War II. The pharmacy, located at 18 Zgody Square, was run by Pankiewicz and his three assistants. It not only provided medicine to Jews in the Ghetto but also became a secret meeting place of Jewish intelligentsia and of contraband. Today, the Eagle Pharmacy museum branch reminds of how the pharmacy looked in the past and the exhibition explains the history of Holocaust. Permanent exhibition in this branch of the Historical Museum of Krakow is titled “People of Krakow in Times of Terror 1939-1945-1956“. It focuses on victims of Gestapo and the terror caused by the Stalin totalitarianism. 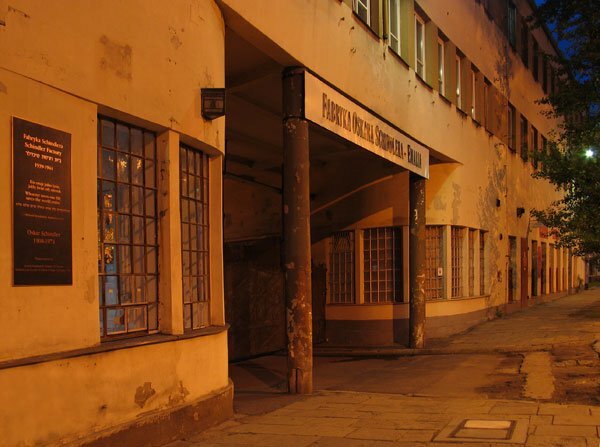 The branch is located on Pomorska Street, in a building in which Gestapo had its headquarters during World War II and was imprisoning its opponents. Pomorska Street, the Eagle Pharmacy, and Schindler’s Factory together constitute the Memory Trail. 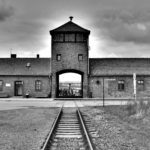 It is a special route dedicated to the horrific times of World War II and the period of Stalinism. 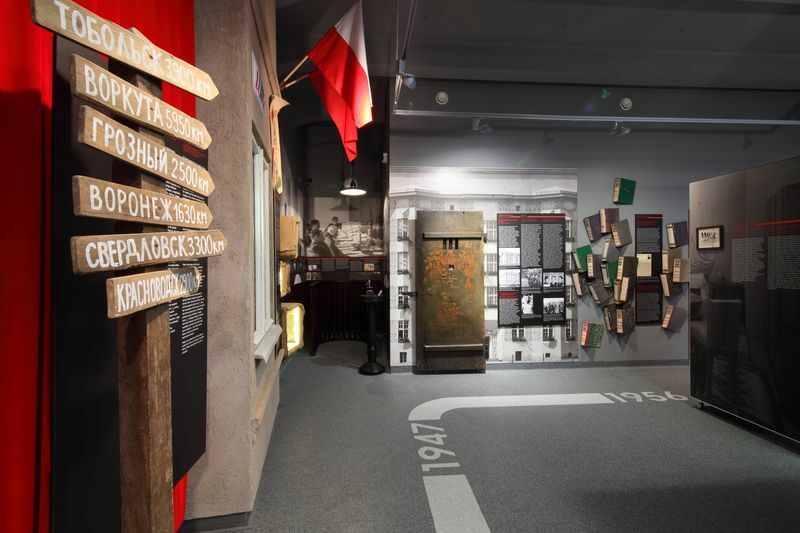 The Memory Trail was created in order to tell a comprehensive story of this times to people visiting each of the three branches of the Historical Museum of Krakow. It is also where each year two events are held – The Remembrance Day and Remember with us. Hipolit House is where a branch showing a typical bourgeois house is located. 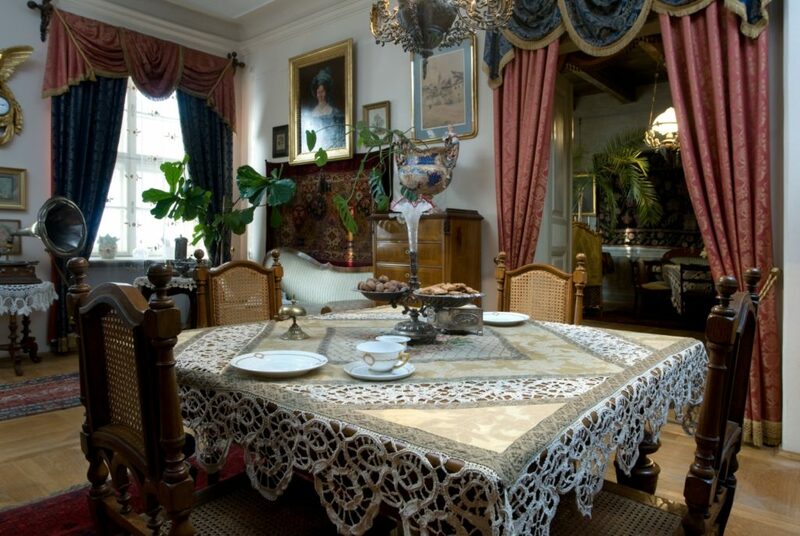 The exhibition takes visitors through interiors in which rich inhabitants of Krakow once lived. It comprises of period furnishings, decorations, paintings, fabrics, and various objects that recreate the special atmosphere of past centuries. Town Hall Tower is one of the main focal points on Krakow Main Square. It is the only existing element of a complex of several buildings that once made up the Town Hall. The Tower was once surrounded by adjoining buildings. They were torn down in the 19th century in order to make the Main Square more spacious. Inside of the Tower is open for visitors with its well preserved Gothic interior details. There is also an exhibition of beautiful photographs of old Krakow. From the upper deck, visitors can admire the panoramic view of Krakow. Barbican in Krakow is an example of an advanced defense solution. It is also one of only three such fortified outposts preserved in Europe. 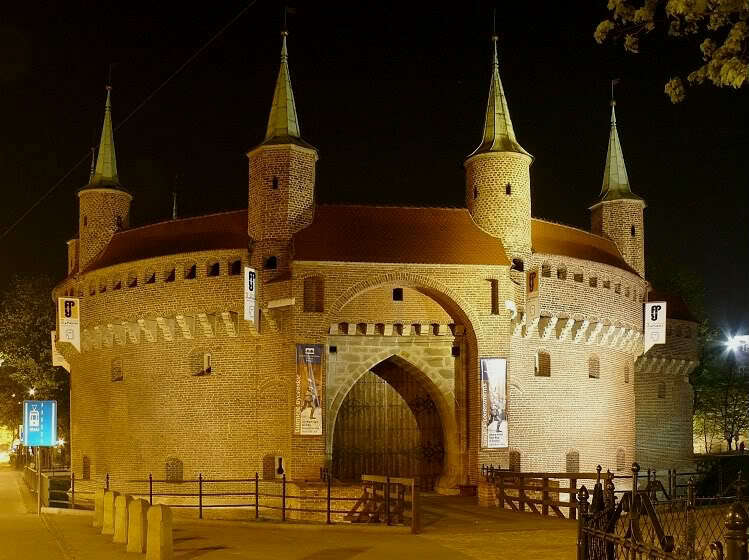 The Barbican is today used by the Historical Museum of Krakow as an exhibition space and as a sports arena. Inside of the Barbican can be visited in spring and summer, while in winter and autumn months it can be admired only from outside. Rynek Underground is a tourist route that covers most of the area under the surface of the Main Square. It opened in 2010 as a result of many years of archaeological research with an exhibition titled “Following the traces of European identity of Krakow“. 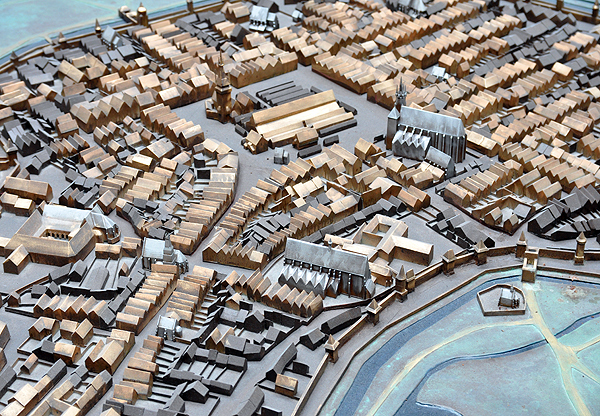 The interactive exhibition shows how the Old Town of Krakow looked in the Middle Ages. It presents the oldest preserved traces of everyday life and compares it with other major commercial centres in Europe. Zwierzyniec House is located in the beautiful neighbourhood of the Bielany-Tyniec Landscape Park. It houses an exhibition presenting how suburban houses at the beginning of the 20th century looked like in the once outskirts of Krakow. 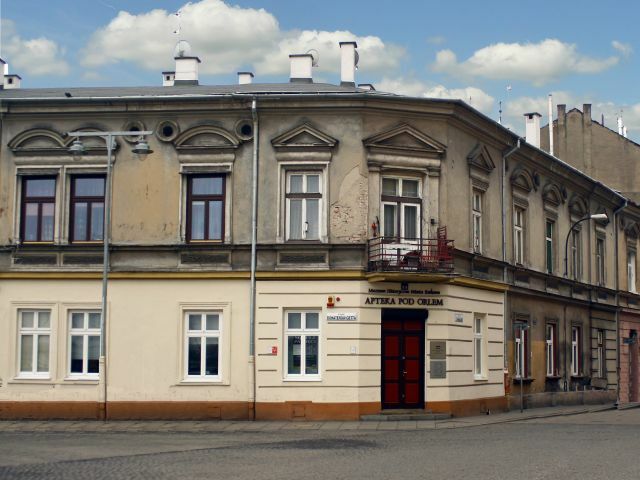 Although the district of Zwierzyniec, where this branch is located, is now very close to the city centre, it retained its original peace and intimacy. Nowa Huta, a district of Krakow that was a realisation of the utopian socialist concept of the ideal city. The branch organises various exhibitions, meetings, walking tours, etc. in order to familiarise people with the history of Nowa Huta. It focuses on the city created in 1949, but also on the history of this area before that time and its natural habitat.